Oracle Vritualbox got an update for its 5.1 series earlier today with lots of bug-fixes. 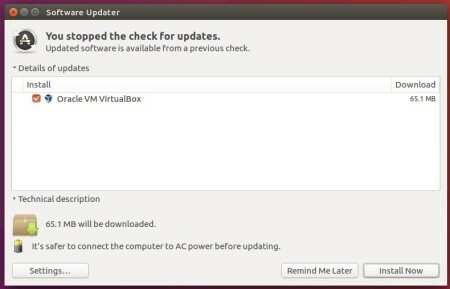 For Linux users, Virtualbox 5.1.24 brings fixes to Kernel 4.12 and Kernel 4.13, fixes for loading shared libraries, fixes for kernel modules built with gcc-7, makes 2D video acceleration available for older Linux distributions. VMM: mask the VME CPUID capability on AMD Ryzen processors. GUI: fixed a potential crash when a VM with multiple screens is running in full screen / seamless mode and a host screen is removed. Posting in case someone else has the same problem. I updated to 5.1.24 today. Host is Ubuntu 14.04 and guest is also Ubuntu 14.04. I use a host only network called vboxnet0. This network came up automatically until after the update today. Since automatic has stopped working, I manually brought the host only network up by typing the following command on the host which worked. Fixed in version 5.1.26 !